It is a well-known fact that children below the age of 1 year do not have a rigid immune system in place. Of all the infections and allergies, cold is one of the most common, and the most devious of them all. A runny nose can soon convert into a blocked nose. What’s the big deal you ask? Little children up to the age of 1 are obligatory nose breathers. This means that they can only breathe through their nose. Grown-ups, on the other hand, can breathe from their mouth if they have a blocked nose. After the age of about 6 months, some children learn to breathe through their mouth, but younger than those, a blocked nose means difficulty in doing daily activities for an infant. So let’s see how we, as moms, should be dealing with our baby’s stuffy nose! Why is your Baby’s Blocked nose a problem? Signs of a Stuffy Nose. Any such hindrance in the baby’s everyday functions may sometimes result in worsened mental and physical growth. It can also be very critical if a blocked nose blocks regular breathing, creating fatal issues for little babies. Dry Air: Air with low humidity, or the kind released from hot air blowers used in winters, can cause a blocked nose. Nasal Irritants: Like smoke, dust, allergens like pollen, animal fur, perfumes, and the like, can irritate the lining of the nose, resulting in a blocked nose. Viral Illnesses: Like a cold, can cause a runny nose which can result in a baby’s blocked nose. How to treat your baby’s blocked nose? Try and keep your baby upright as much as possible. Lying down can cause more difficulty in breathing than staying upright does. Keep your baby hydrated. Good hydration in the body thins out mucus, helping alleviate the blocked up thick mucus that has been causing your baby’s blocked nose. Help your baby take some steam. You can keep a pot of hot water close by and redirect some warm steam arising from the container with the help of your hands. Do not bring the little one too close to the steam as it may cause serious burns. Gently swaying the arising steam towards your baby can help them breathe moist and warm air, that helps get rid of a blocked nose. Sit in the bathroom together. You can also let some hot water run into your bucket and the arising vapors and steam could be inhaled by the infant. Keeping them in your lap helps. Using Saline. Saltwater or saline works as a thinning agent for the mucus which makes the blockage clear up faster. Add 2-3 drops (maximum) in your baby’s nose and then drain it with a suction tube, or let it trickle down your baby’s throat. Use store-bought saline instead of making a solution at home. As saline is supposed to be made with distilled water. Any tap water, even when boiled, can have microbes and metals/elements which may not be suitable for being trickled into the baby’s nose. Remove any hard mucus. Mucus has the tendency to thicken up and work as a further blockage for the thinner mucus trying to escape the nose. You can remove it with the help of your fingers or with a gentle, wet cloth or wet tissue. Sometimes, patches of mucus block up in the cavity of the nose upwards. This causes blockage but does not trickle down or escape. To rid your baby of such blockages, you can use some medicated drops that help it escape the cavities of the nose. No method would immediately cure a blocked nose. It may alleviate blockage for some time, but a baby’s stuffy nose needs treatment for a few days, no matter what method you use. A congested nose usually clears up in a week’s time, sometimes with very little intervention. But in case, with or without intervention, if the nose fails to clear up in 7 days, you should consult a doctor. When using Nasivion Baby Nasal drops (consult a pediatrician before using), ensure that you do not use it for more than 10 consecutive days, unless suggested by your doctor. Dosages for children from age 1 day to 5 weeks, use 1 drop of Nasivion Mini (Baby 0.01%) Nasal Drops in each nostril, up to 2-3 times a day. For children between 5 weeks to 1 year, instill 1-2 drops of Nasivion Mini (Baby 0.01%) Nasal Drops in each nostril, up to 2-3 times a day. For kids above 1 year, use Nasivion Pediatric (Child 0.025%) Nose Drops. Instill 1-2 drops into each nostril 2-3 times per day. These dosages and usage instructions may change, depending on your physician’s advice or the severity of your baby’s blocked nose. Do not use any remedy suggested above without a doctor’s recommendation. If the baby was born premature, or has been underweight, or has been suffering from other complexities, a doctor’s consultation becomes even more necessary. Even though nose congestion does not seem like a major issue, your baby’s stuffy nose can cause difficulties to your little precious. Hence, it becomes crucial to treat it right away. Make sure you consult your doctor or pediatrician before using any product such as Nasivion which is mentioned in the blog. If you know about a parent who could make use of such a detailed post, do SHARE this ahead. I need the Nasivion nasal drops for me son. He easily catches cold and gets cranky. It affects his breathing and sleeping too. Nasal drops are quickest way to clear congestion. 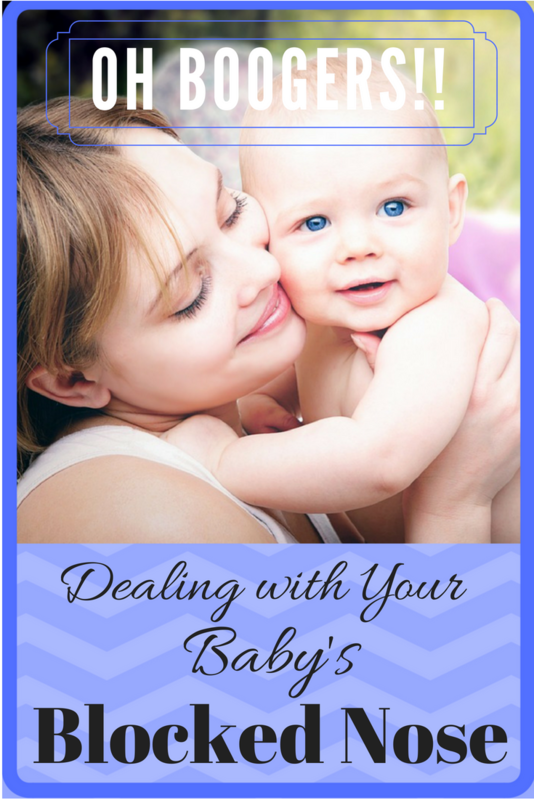 This is a helpful post for new mom’s. I know I struggled to understand causes and find solutions as a new mom for a blocked nose. Whenever my son gets a cold, it leads to blocked nose in a few days and those days are the worst. This is such a helpful posts for all parents. Nasivion does work wonders in case of a blocked nose. Stuffy noses are really the worst, impacting a child’s sleep, and mood as well. This information is helpful and yes I have been using Nasivion nasal drops for my child. My son has faced this blocked nose problem when he was only 3 months old. Nasivion works really good for blocked nose. Amazing Nasivion nasal congestion reliever. This is the best nasal drop for the kids to get relief from nasal pain. Great thoughts. I remember the days when daughter was baby and we had to struggle with blocked nose every other day. Thank God her Doctor introduced us to Nasivion drops for clearing the nasal passage. this nasal spray are really good for kids. I will recommend this spray to my sister who has a small kid. This was so detailed! You explained saline water so well! I have always taken steam vapours for my nose blockage but believe me it is so much of a task! I would rather prefer nasivion saline drops for me as well as for kids! True that blocked nose is more than a nightmare for me. But this nasal spray is effective . Nasivion is really a great product as a mom i am very happy with it.. I say tata bye bye the problem of blocked nose from my daughter’s life..
My son easily catches cold due to low immunity, nasal drops are like saviours for us.